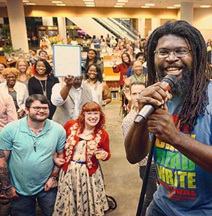 The Birmingham Public Library's Eat Drink Read Write festival is a culinary and literary experience that highlights Birmingham's burgeoning food landscape. The 2017 festival brings together food, culinary arts, and literature in a fun and engaging format. Come and sample amazing dishes from all over the globe and hear the wonderful stories behind them! How do cultural experiences inform culinary creations? 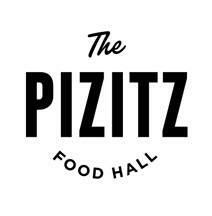 Join chefs from the Pizitz Food Hall as they discuss their culinary journeys and the experiences that shaped their palates and inspired their passions. Sample "off menu" selections created especially for the evening. REV Birmingham's Deon Gordon moderates the discussion. Chefs: Abhi Sainju, MoMo; Amanshiva Takele, Ghion Hall Ethiopian Restaurant; Kimberly McNair Brock, Bitty's Living Kitchen / REV Reveal Kitchen; Eli Markshtien, Eli's Jerusalem Grill. $20 admission - Purchase tickets online. Yard too small for a garden? No yard at all? You can still have a garden! 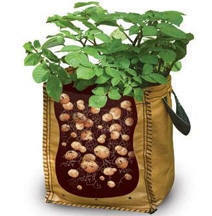 From corn in a five-gallon bucket, to salad in a pot, the Alabama Cooperative Extension System (ACES) will show you how to grow food in the most unusual spaces. From sushi donuts to rolled ice cream, food sharing on social media sparks trends. 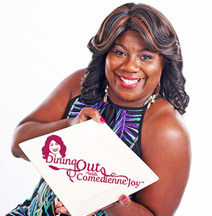 Join local food bloggers and Joy King, TV Host of Dining Out With Comedienne Joy, to discuss the influence of social media on food in Birmingham and the nation. Speakers: Emily Brown, Author, Birmingham Food: A Magic City Menu; Russell Hooks, Founder, Happenin's in the 'Ham; Tara Massouleh, Assistant Editor, Birmingham Magazine; Janece Maze, Lifestyle Blooger, Eat Drink & Savor Life; Rocky Prince, Executive Chef, Itta Bena WindCreek Montgomery; Julia Sayers, Editor-in-Chief, Birmingham Magazine; Justin White, Co-owner, Cosecha Urban Kitchen. Spoken Word poets from across Alabama compete for cash prizes, while attendees sample SweetWater craft beer and the sounds of hip hop artists Shaheed & DJ Supreme. Performance artist Voice Porter hosts this showcase of homegrown talent. 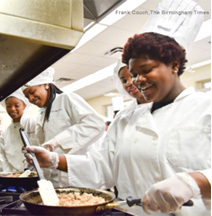 Teens in the award-winning Wenonah High School Culinary Arts Program will present a cooking demonstration and tasting featuring delectable dishes mastered during the school year. Meet our future chefs and restaurateurs! In only six words, tell us your food story using Twitter, Instagram or e-mail. Winners will be announced and prizes awarded on Friday, October 6 at the Bards & Brews event. View details and send us your very, very short story.